I would say that photography has not changed very much at all, dodging and burning in a traditional darkroom has been replaced with image management software, digital is used instead of film to a degree, so the process of getting a photo on a flat piece of paper and hung on a wall is still the same, as the saying goes, " the more things change, the more they stay the same." To my wallet? Yes. To my photography? No. I don't know if this applies to the industry of photography as much as it is the camera production and retail equipment manufacturing industry. At the end of the day..photography is the same. Composition, Composition, Composition!!! From what I have seen thru the years, what sets a great/good photographer apart from others (in all genre's) is composition. No editing will cure poor composition on the initial shot (yes. improve maybe...but not cure). A slightly over-underexposed image is pretty fixable nowadays in post.....composition..not so much. Grainy high ISO images can even be passable with good composition. Color, B&W...digital, film, mirror-mirrorless, phone, DSLR....you name it. Look here on FS or any other site where images are posted. At the end of the day, photography is the same as it was when it was invented. Just the tools are different. 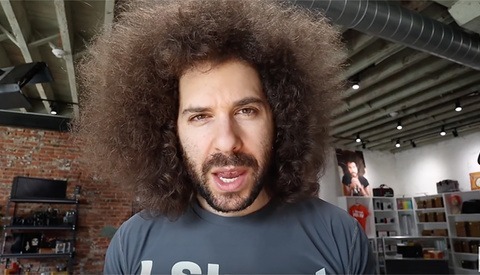 Too much focus on full frame cameras, particularly in a video where he argues that gear doesn't matter. The State of the Union is that the majority of the innovation of the last several years has come in APS-C and m4/3, but those formats only get passing mention. The photography world hasn't changed just because CaNikon finally decided to put out mirrorless bodies years after that train left the station. I can't think of anything that APS-C and M4/3 can do that FF can't. They're all using the same sensor technology, just with different sized sensors. Anything that one of them benefits from, they all benefit from. Could you be more specific as to what innovations you're referring to? I think that's exactly the point, the small sensor cameras developed so far, that you don't really need FF for a normal case. And they come in a much smaller package. My point was about where the innovations debut, Michael Jin . Take tilt screens in the DSLR world, for example. How many years did tilt screens and fully articulating screens exist in non-FF cameras before that became available in the D850 and the 6D2? It seems like a small thing, but anybody who uses a tilt screen can't go back to not having one. In the DSLR world, most features trickle down from FF to APS-C. But it's the opposite in the mirrorless world. You really have to look at it as "mirrorless AND non-FF" because you can't separate the sensor size and the camera technology for this discussion. In the mirrorless world, all the features came out in non-FF first. IBIS was in the non-FF cameras first. Focus peaking. 4K with high frame rates. There are probably some other things that started in non-FF cameras and later appeared in FF cameras. So it's not that FF can't do everything APS-C can, my point was that these days, the non-FF cameras are where all the innovation is taking place and then these things trickle up to the FF cameras. In the video, he's using only FF cameras to talk about the direction the industry is going when non-FF cameras are leading the pack, with Sony FF being the exception, not the rule. I agree. He makes it sound like Sony invented all of it. 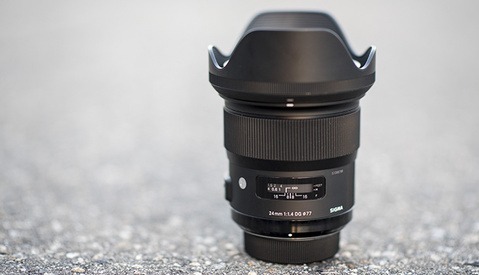 Now we have Panasonic coming out with two FF bodies and lenses and they won't be using Sony inventions to make them. For a first gen, I'm expecting a fairly refined product, because of M4/3's, not Sony. I agree, Lenzy Ruffin - I've never seen this guy before and don't care if I don't again. It's presumptuous and pretentious to make an op-ed reaction to these new mirrorless cameras and call it a "State of the Union" address. There is absolutely no content in this video. Why would anyone listen to this photo-poodle? Because he's produces thousands of hours of educational content for enthusiasts photographers...what have you done? If only your answer could have been tha he’s a good photographer and has original, insightful ideas. Awe that is mean. Jared is a good guy and is a fairly good photographer. He's also well versed in the knowledgeable of photography and while he might not get it right 100% he is generally reliable and accurate. But why do I watch his videos? Mainly because he is a good speaker and entertaining, something many of the photography channels lack. Anyways, why are you so salty? Just seems childish. I agree the goals of photography have not changed, just the equipment available to achieve them. While the technology has certainly evolved and allows us to more easily capture images, the fact remains that the camera is just a tool, and to use it to do more than take snapshots requires skill and practice, not fawning over whether one model has better features than another. What I really like about this video is two fold: First, my beef with mirror less up to this point has been about the in hand feel...a Sony deal breaker for me. 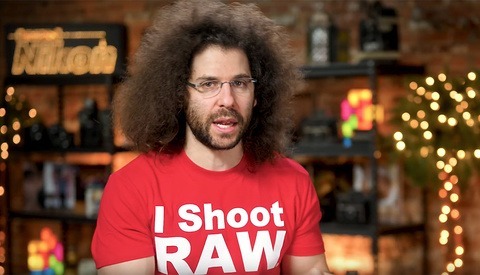 I'm very encouraged by Jared's take on the in hand feel for the Canon and Nikon. I figure my hands are about the same size as his, maybe a pinch larger, so I have a fair idea that when Canon does come out with a 2 memory card mirror less (2 cards required person here), I would have little trepidation about purchasing one. The other part is something I tell every person that asks me about cameras; today's cameras produce good quality images. I happen to prefer Canon, but I don't point anyone toward Canon unless I'm asked about Canon or another specific brand. Then I'll give them what I think will work for them, budget considered. It's a great time for photography! We have a myriad great choices. But in the end, we have to use the gear and for me, it continues to be a hoot to be out shooting. It might or might not happen. Form a business standpoint does the amount spent in R&D, marketing, etc yield a reasonable ROI? Businesses don't do some sort of blank sheet of paper project with expectations of so so returns on their investments. Is the camera market big enough to support such a project? Will the people that are happy with the results that they get from their phones suddenly decide that they need a camera and a phone? And the big question, what will the new camera cost in order for a company to ensure it will make a good return? If the new camera has a price point A for the first timer, a price point B for the hobbyist, a price point C for the enthusiast, and a price point D for the pro, then it's all for not. Money drives decisions that businesses make, in that there is no debate. What is debatable is whether or not there's enough photographers willing to toss all of their gear into the Gulf of Mexico and buy all new gear. I'm certain that most of the photographers here are like me; they like a different body a bit better than what they have, but budget tells them that what they have is working just fine and that it would be beyond silly to go into debt just because another camera has a 10% better sensor or shoots at 2 fps faster. I like the idea of having a choice. A cookie cutter camera is not my idea of good thing for the photography industry. I may be wrong, but I'll probably have assumed room temperature before this happens if it ever does happen. I 100% agree, however in reality OS tech, especially highly complicated tech like digital cameras, is not something you would likely see as OS. With software it's a much different thing, as you can likely find a group of people who aspire to build something with their time but not necessarily invest money. With making a camera you would need to invest money, and lots of it. Even if you could sell the camera for the lowest cost and just cut even, no one would ever want to invest their money into that. Sadly, I don't believe this would ever happen. Change is the only constant factor in men's lives. If you think you can fight the world changing around you, you are mistaken. Photography is about taking photos. Not the gear. All the gear in the world will not help if your composition is rubbish. So much noise about gear, so little about photography. The tools will change, but the art of photography will remain as it has been. I'm sure when SLRs evolved to DSLRs, there was the same hub-bub. But let's get ourselves grounded... you still need to master light, composition working with subjects, landscapes, etc, in order to take a good photograph. That will never change, no matter the technology.